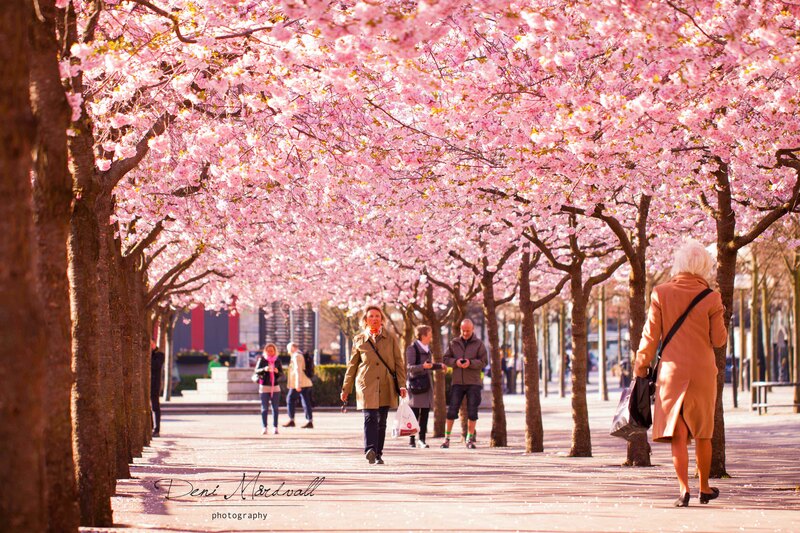 I was there when Cherry blossoms were waking up from their sleep this winter. I was there together with lots of people, tourist and local who admire how beautiful the flowers are. 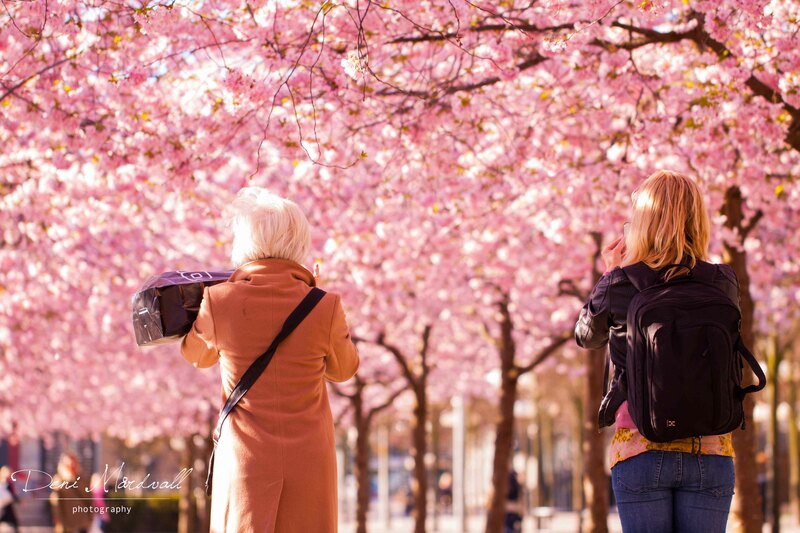 I was there, this time I wasn’t alone, I have baby A with me… accompanied me to enjoy the sunshine and took fresh air while capturing the activities of people who was passing by under the Cherry blossoms. I miss it!!! It was early in the morning, around 8 AM. 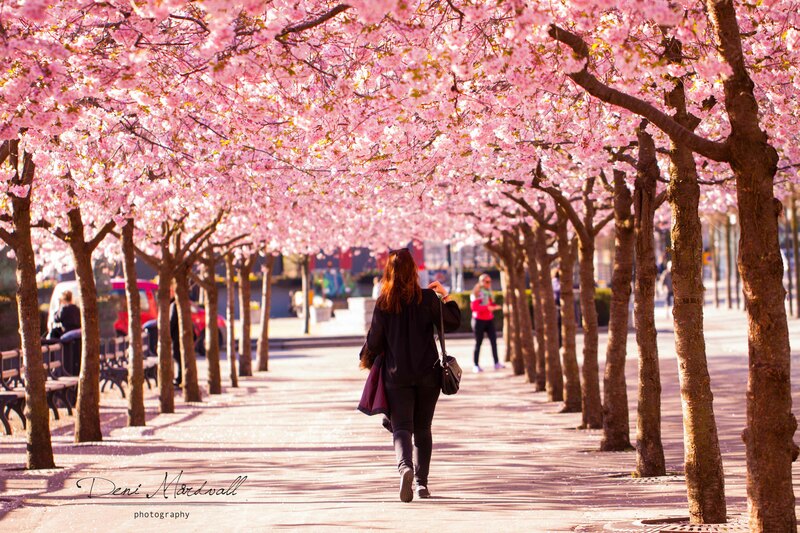 It wasn’t too crowded yet, I just see some women and men with their work clothes decided to walk inside the pink alley of Kungsträdgården, the King Garden which is located in the heart of Stockholm. TGI Friday still empty and it was so peaceful too be there, morning breeze and quite warm. I was sitting there, enjoying my breakfast while the sun touched my belly where baby A practicing her kicks. I love every moment of it!!! My eyes caught how many happy faces passed by, some of them were taking a couple of minutes and sitting there with us while their eyes kept looking at the pink flowers. I bet they couldn’t help to notice that spring is here! 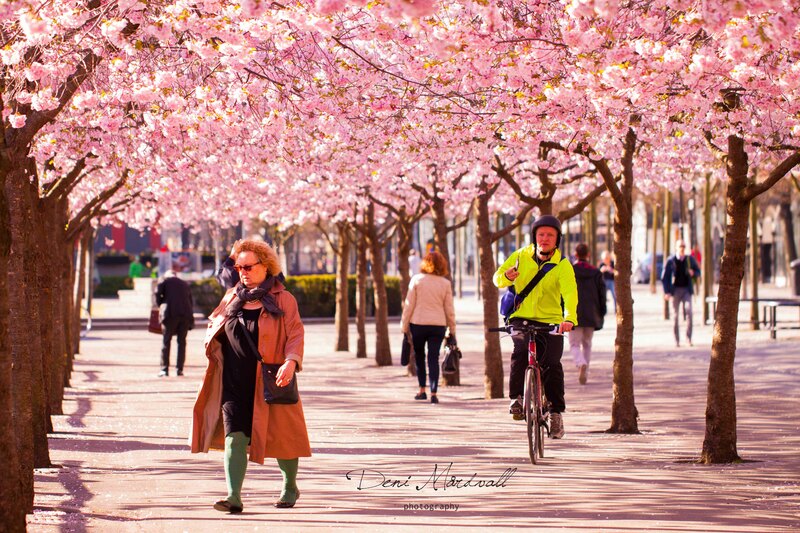 It is not only the Cherry blossom which is waking up but Stockholm is getting ready to show its beauty for the visitor and for us, who live here. Yes, we had mild winter this year but still we were longing for spring. Now, when the summer is finally here… looking at these picture brings me back to those day, when I caught the early train to just enjoy the view of this garden. Now, you only can see the green alleys in both sides, still pretty though! But of course it is different feeling you get when you sit down for taking a rest or enjoying your meal. I didn’t took so many pictures this year but definitely better than last year. 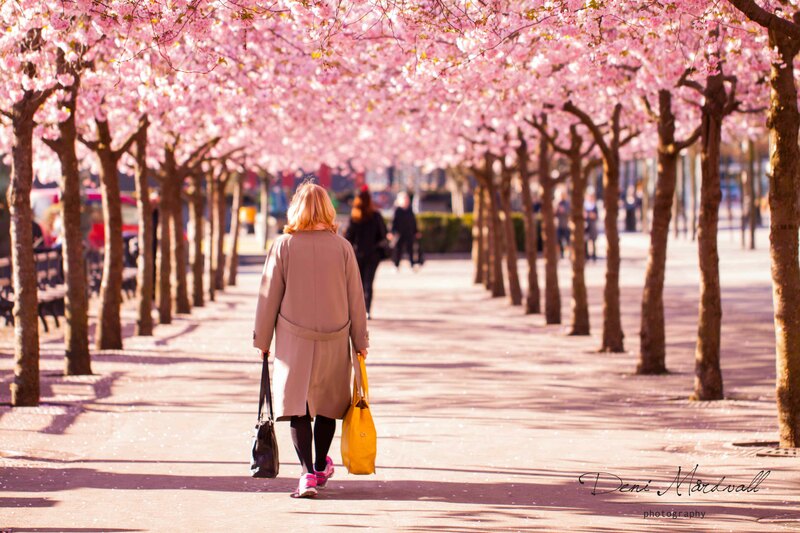 Yet again, there are always different moment that I captured, especially about what happened under those pink trees. Different angle, different story…!! I have been blessed this year, I’ve been in a good health and could catch so many moments that I will cherish for the rest of my life. Many improvements, many things I’ve learned about life but of course I won’t stop now. I still have thousand dreams to catch and millions stories to tell. So far, this year journey has been so challenging yet amusing at the same time. As I said, I can’t thank God enough for the opportunities God has given to us. Less than one month left before we have our little precious in our hands. Every day is getting excited! For us, facing our new role as parents, is something that we are looking forward too. No doubt it is a bit scary but what we can say is we are ready mentally and physically. We don’t know what to expect but with our faith, hope and love we will give our best to our little one. There will be slightly different changes in our book of journey but we are sure that if for a better one! 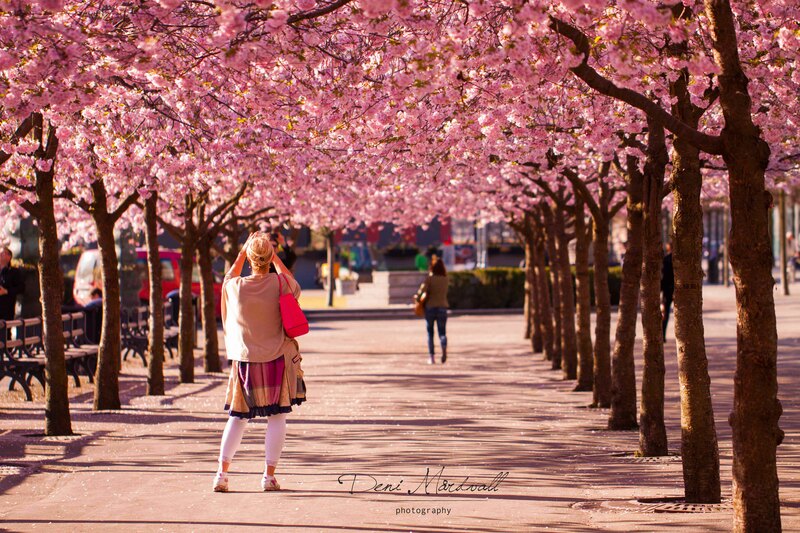 As like what happens under the Cherry blossoms, our life will not be the same but it would as amazing and beautiful as it is now and has been. This entry was posted in being37, every day, nature, passion, photography, Spring, Stockholm, Sweden and tagged everyday, flowers, nature, photography, spring, stockholm, Sweden. Bookmark the permalink. Beautiful post! Congratulations to your baby! Beautiful journal, mbak. So glad that you enjoy every minute of being expectant mom. Thank you Mbak Di, yeah… I am so grateful that God has given me this amazing opportunity. Will treasure every single second of it for sure. Mba Dema…! Salam kenal, ini Chica yang kontak di mamarantau. OMG!!! Your pics are TRULY gorgeous.. ! Suka sekaliiii, dan I am very thrilled to interview you even more..!